So… we were over at the Container Store at Lincoln Square in Bellevue when I remembered that Pinkabella had opened up a store at Bellevue Square, right across the street. It seems so simple, but really we had to go upstairs and over the skybridge then detour through Crate and Barrel for a minute, then walk through Macys, find a directory and figure out what 3CC meant. 3CC means 3rd floor, Center Court. The only other things I was aware of on the 3rd floor were the kid’s play area and Gymboree. 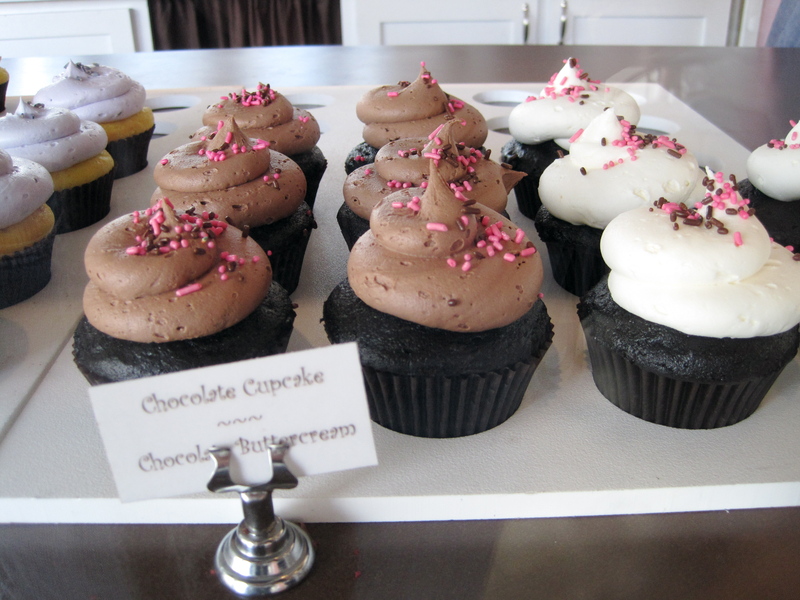 That’s probably a good place for a cupcake stand! 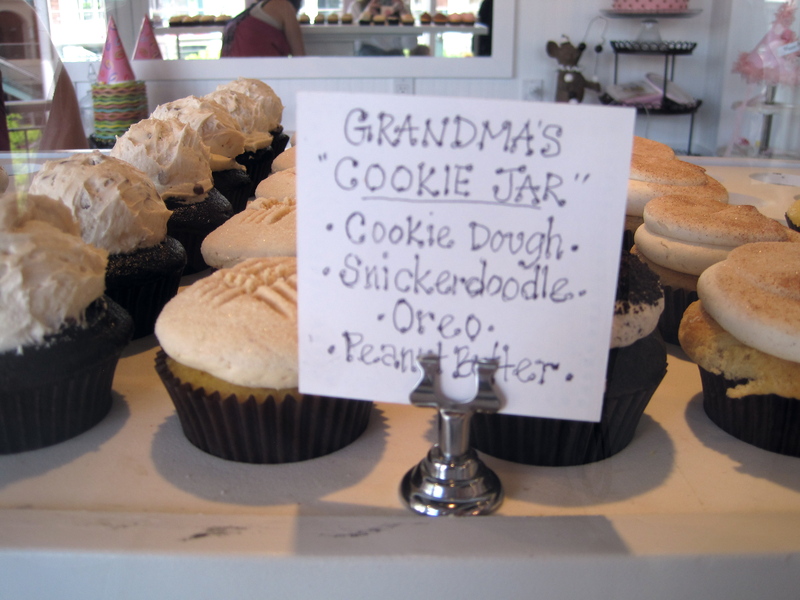 We found our way there and I picked out a S’mores cupcake. We found a place to downstairs away from all the children. The older couple near us were amused by my photographing a cupcake before I ate it. The woman said that I should take a photo to make it last longer since I probably paid “a pretty penny” for it. 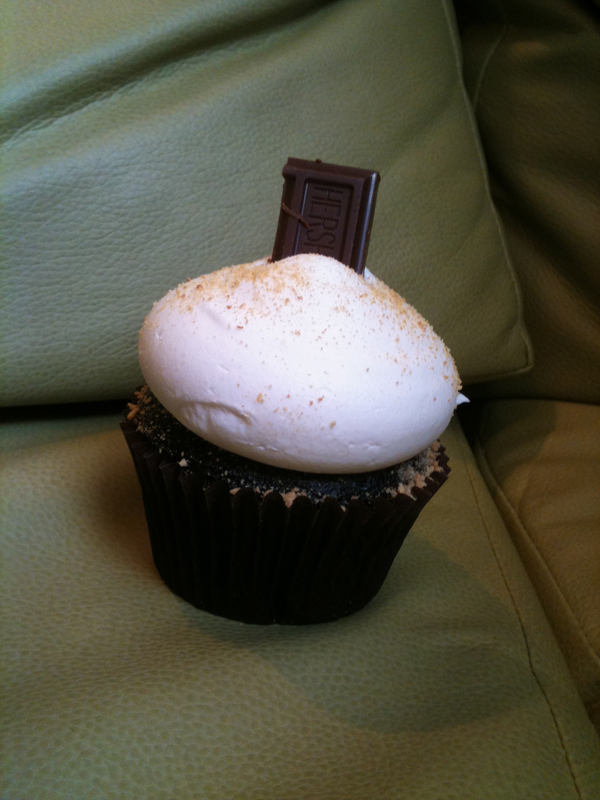 Trophy still has the best S’mores (aka Chocolate Graham Cracker) cupcake. The chocolate cake on this was good. It had very rich chocolate flavor but was a little crumbly. As I sat on the bench, I seriously wished I had a plate and fork so I didn’t make a HUGE mess of myself. There was a tiny bit of graham cracker crumb sprinkled across the top of the cake under the icing, which was over-the-top sweet. I didn’t really get “marshmallow”, but what does marshmallow really taste like besides “sweet”. I was hoping that when I tasted the cake and the frosting together, the darkness of the chocolate would balance out the sweet of the frosting. It wasn’t the case. 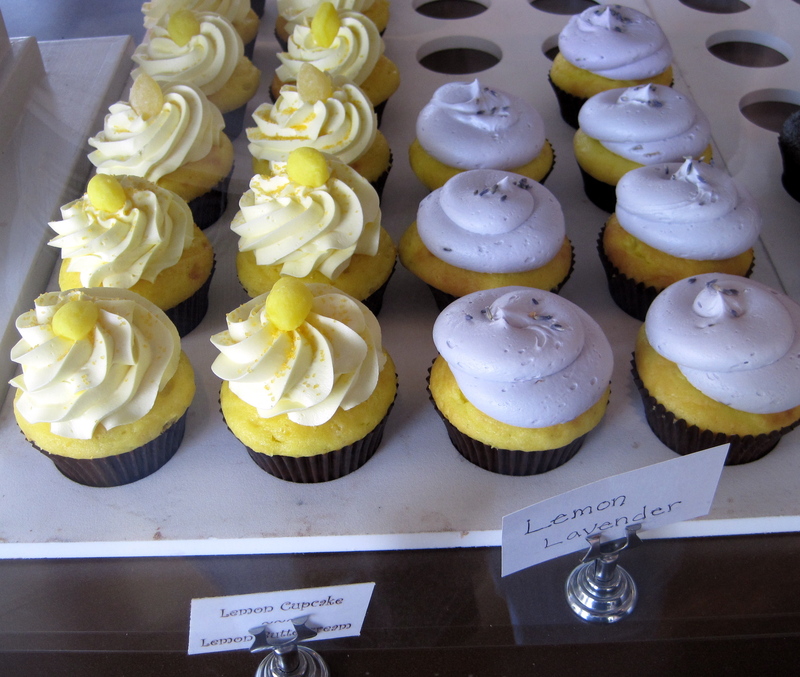 When I tasted them both, all I got was SWEET. The frosting was so overpoweringly sweet that I no longer tasted the cake. It was so sweet, I felt a burning in the back of my throat. I wouldn’t have this one again unless I had some insulin nearby. I would like to know how to make the huge ball of icing on top….Maybe I need a bigger tip?? Mr Shuck chose the Pineapple Coconut. The citrus rum cake was very flavorful and fairly moist. 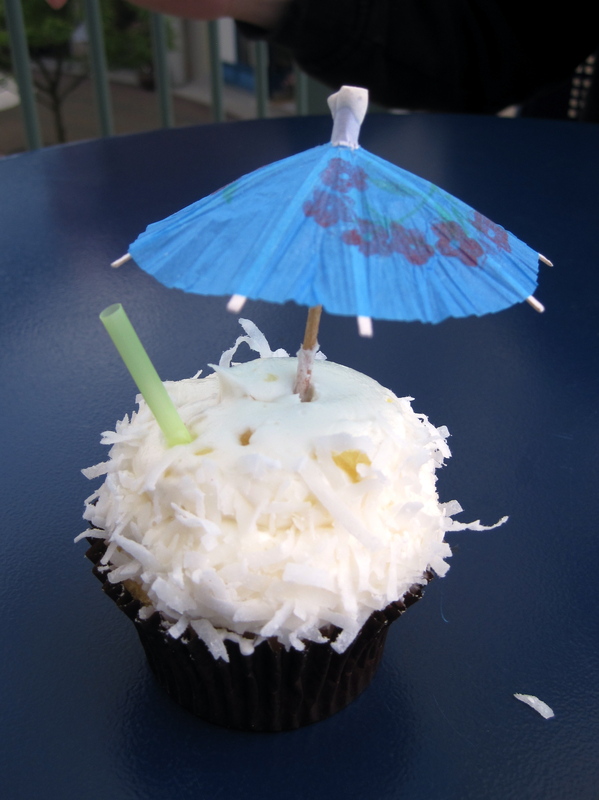 It was topped with a creamy, slightly sweet icing studded with chunks of pineapple and coconut flakes. 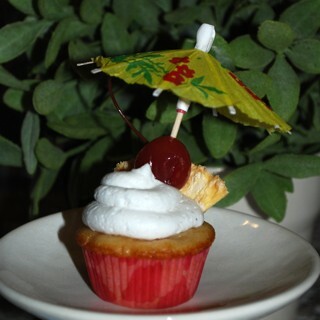 I thought it was extremely cute and very much like a pina colada. Rating: ♥♥♥. 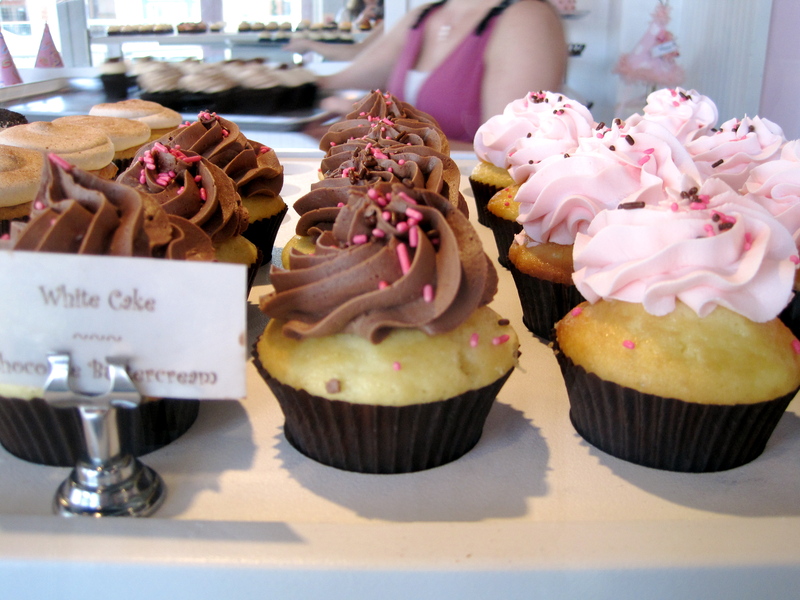 I’d definitely go back to PinkaBella if I were in at Redmond Town Center and I’d get this cupcake again. French Toast from PinkaBella: click to enlarge. 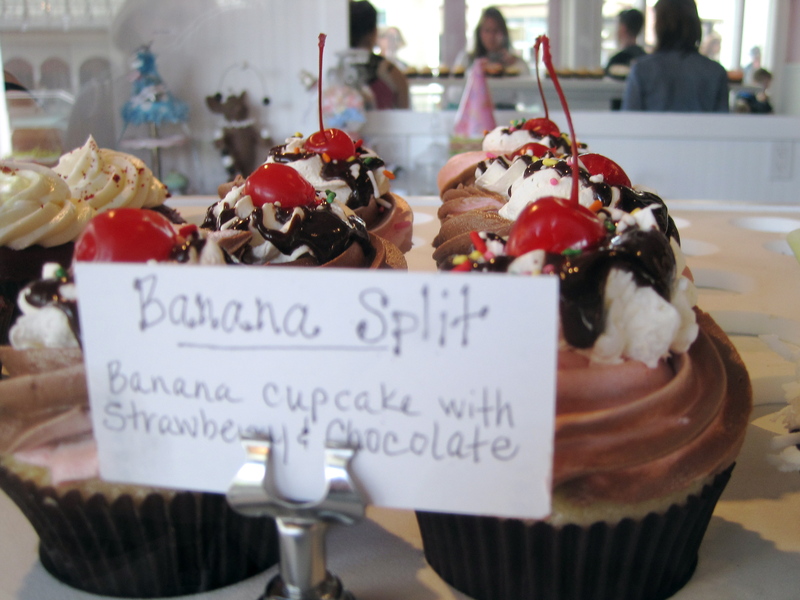 I chose the French Toast cupcake. The vanilla cake was okay. It seemed to have a cinnamon egg wash brushed on top. This was the only part that reminded me of French Toast. 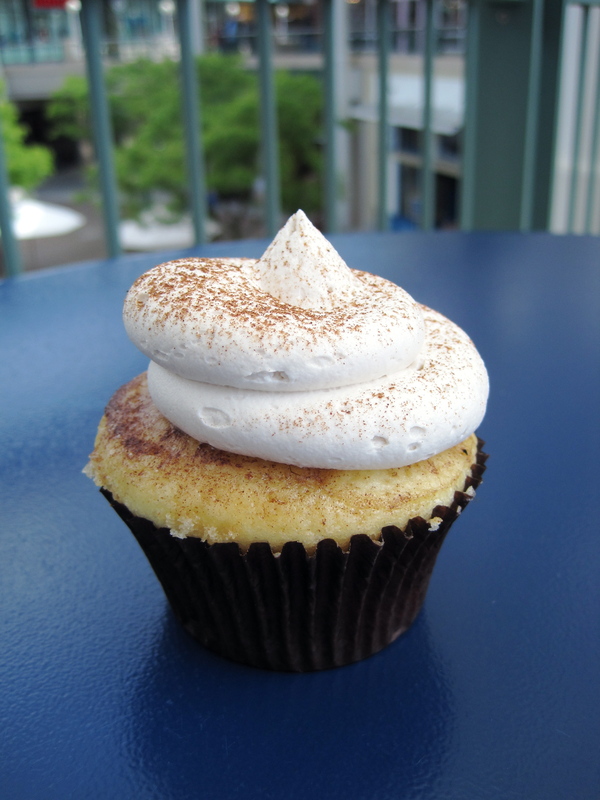 The cinnamon icing perched on top was also very creamy and not overly sweet. Rating: ♥♥. 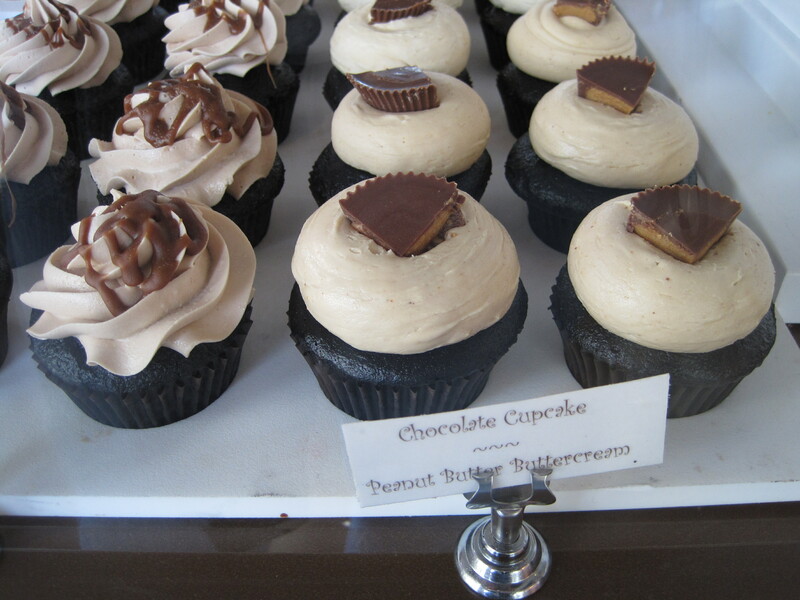 I liked this cupcake, but I’d probably try something else next time.